Cooking like a chef has never been so easy. Try for yourself. Why not use Assisted Cooking to help you with your cooking? Exquisite design, full cooking flexibility and all the space you need. 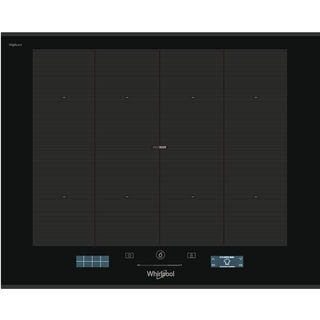 Discover Whirlpool’s innovative cooking surface. 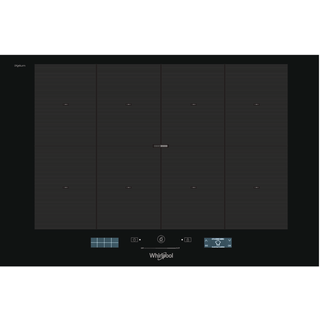 The whole induction hob becomes one giant area easy to manage. Now you can freely position your large pots wherever you want to. 4 different areas with pre-setted temperature to allow you to move your recipe whenever you need to change the cooking method. Sear with high temperature, move the pot to the medium area to keep cooking and then move it again to keep it warm until serving time. Cooking flexibility at its finest. Use manual settings to tailor the cooking zones to your needs. From round coils to oval coils. A new innovative shape to ensure even heat distribution and enhanced pan detection. A flexible cooking area to unleash your culinary creativity, in complete freedom. BLANK CANVAS FEAR? HERE ARE SOME IDEAS TO GET YOU STARTED! SmartChef if your new personal cooking tutor, powered by Whirlpool. Try it now! SmartChef leverages the latest AI technology to deliver a truly interactive and informative cooking experience. You can chat with SmartChef at any time, simply by accessing the SmartChef Facebook app. The iXelium nanotechnology glass treatment ensures sleek, spotless, scratch-free surfaces. Elegant, essential and harmonious, SmartCook’s ultra-flat design is the perfect addition to every kitchen. And with the innovative iXelium treatment, SmartCook’s surface will always glisten with that first-day shine. 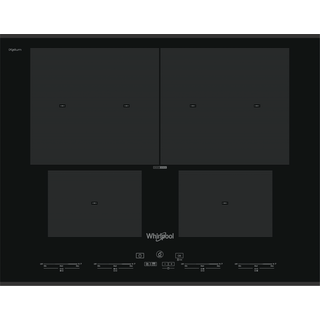 Automatically senses and adapts the temperature to perfect 63 cooking combinations. Complete step-by-step guidance, including real-time tips and alerts, all the way to perfect dishes. Keep your hob shiny and free of scratches.